Better utilities management isn’t just about reducing costs and saving energy. Conservation of natural resources such as gas and water is just as important for the future of our planet. Using future-proofed, scalable Narrowband RF mesh technology, our Optimal smart metering systems provide fingertip control over gas and water supplies. Usage can be monitored and managed accurately and securely without the need for costly site visits. Changes to tariffs and schedules can be implemented remotely and there’s also an option to set up prepayment facilities. With embedded smart software, the RF module provides secure bi-directional communication with excellent range and penetration. It’s also highly energy efficient. Ultra-low power consumption means it will work effectively for several years on just four AA batteries. Remote meter readings can be taken at scheduled intervals or on demand. Supplies can be remotely disconnected or reconnected quickly and cost effectively. Built-in fault monitoring and diagnostics provide event and alarm reporting, ensuring maintenance issues can be dealt with quickly. There’s also a messaging feature for relaying information to end users. CyanConnode’s modules can be easily integrated into an existing gas or water meter design with a sensor that provides electronic usage markers. The technology is also versatile and universally compatible. We offer a single PCB unit (with or without LCD display), which can be configured to different regional requirements and languages. 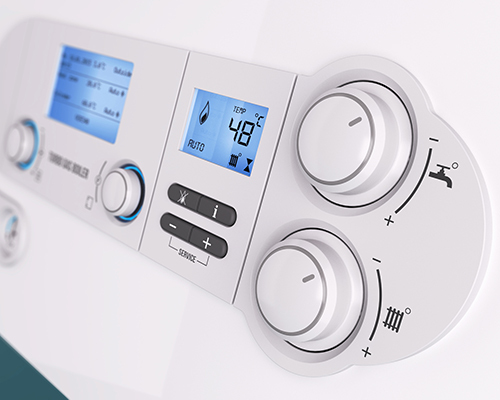 Designed using logical low-power algorithms, Ultimesh smart gas and water ensures wireless operation is kept to a minimum with ‘Wake on Radio’ functionality. As well as transferring data efficiently to and from the meters, this technology enables new, replacement or ‘orphaned’ meters to be readopted into an existing network.